As an independent Production Sound Mixer I am working with my own equipment for German and international film and TV productions. More info is available at IMDb and Crew United. 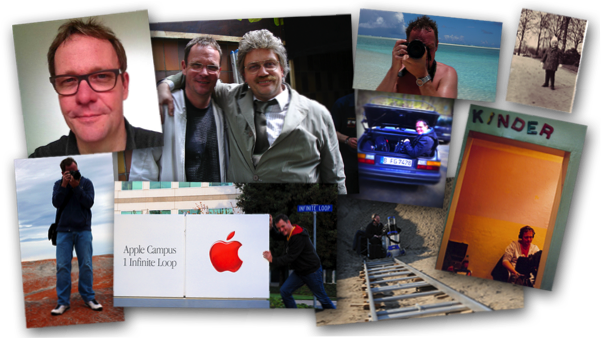 I have also worked in part time as an Apple Consultant and Mac Supporter for many years. Since 2004 I am a registered Apple Developer and try to assist others in designing high quality apps and web services. I launched Geek Out in 2010. Belgium, England, France, Greece, India, Italy, Nepal, Netherlands, Austria, Scotland, Switzerland, Senegal, Spain, Sri Lanka, Tunesia, U.S.A.
Design, Development, Movies, Photography, Music, Aerospace, Travel, Technology.